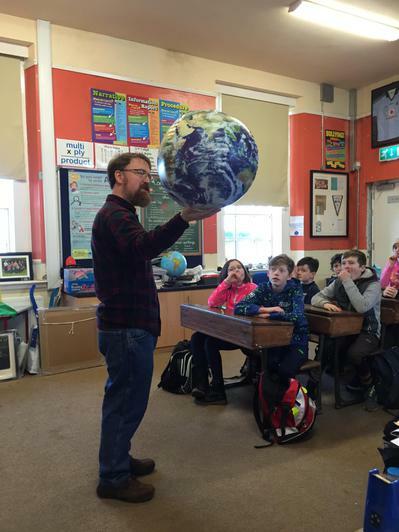 On Monday 12th of February the senior classes 3rd-6th had workshops exploring Climate Change with Enda Reilly. 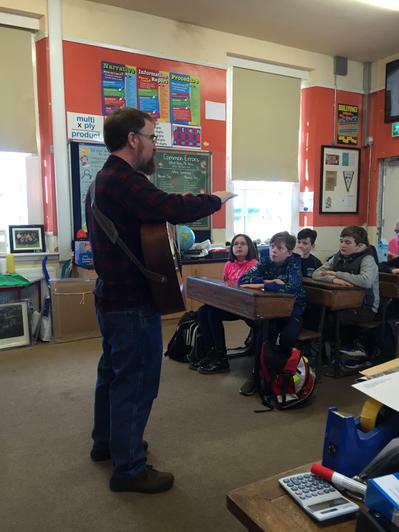 This was Enda's second visit to the school. 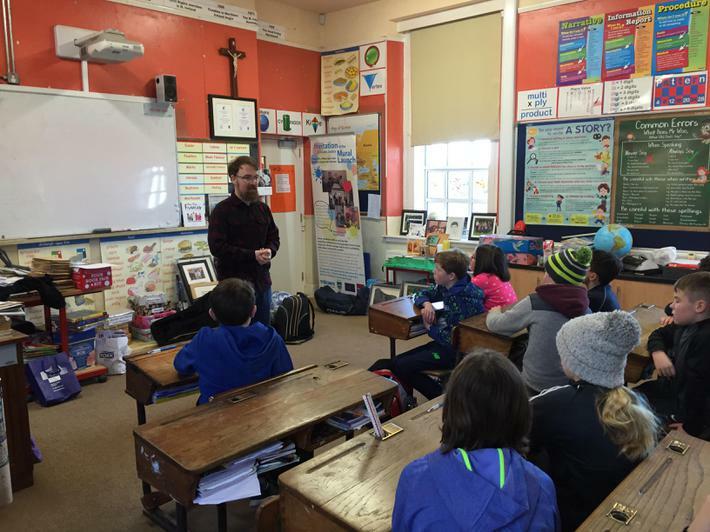 The visit was hugely entertaining as the children shared their knowledge of the issue and gained new information. 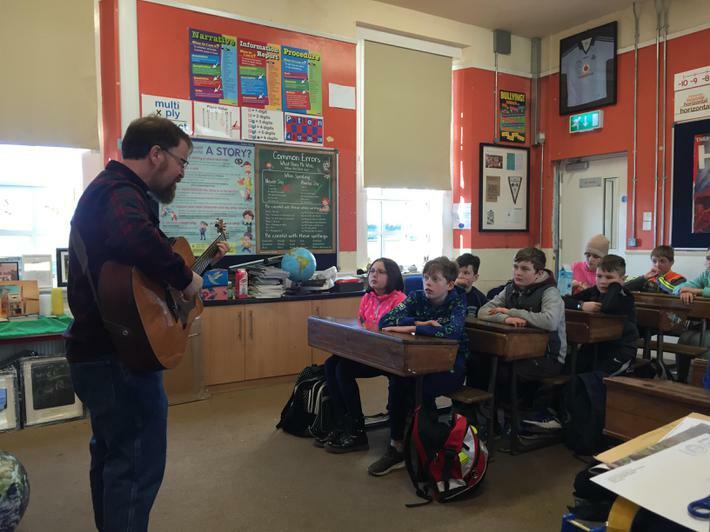 All of this was interspersed with Enda's unique songs and fun.